Your Free Angel Message Is Here! Breathe, relax, and listen to replenish and rejuvenate your energy and empower positive new beginnings in your life. You will receive a powerful angelic cleanse of your mind, body, and spirit by simply listening to this free .MP3 angel message. Expand the level of light you're able to shine and carry in your energy field in each and every moment! 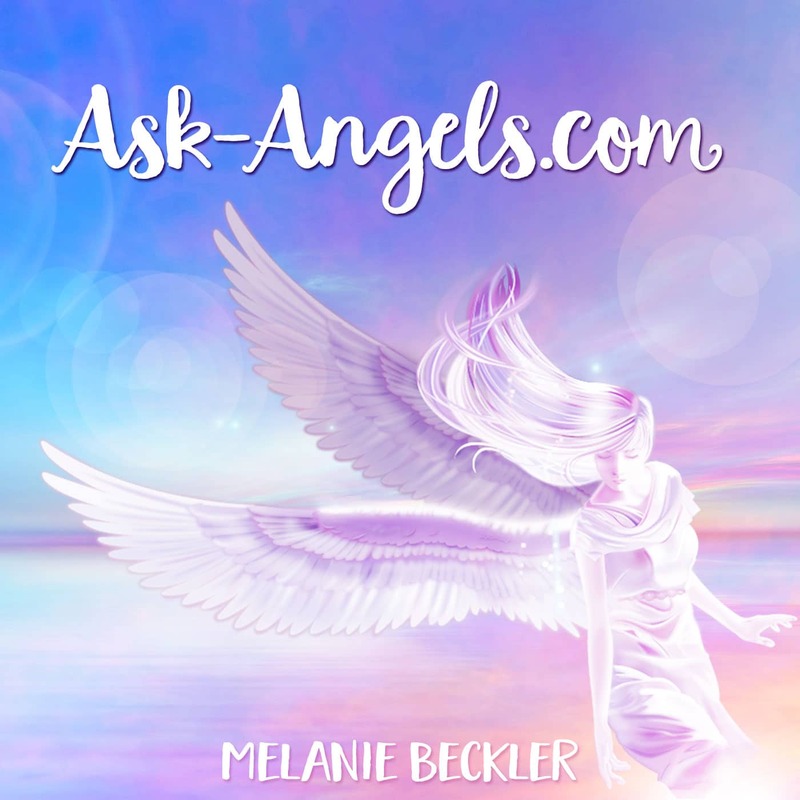 Before listening, find a comfortable and relaxed position where you will be able to relax, breathe, and lift as Archangel Metatron, Orion, and Michael connect with a powerful angel message and healing frequency. To add to your iPhone or iPad you will need to download to your computer and then transfer to your phone or tablet through iTunes. Learn how you can access an ongoing series of new angel messages, meditations, and exclusive channeled sessions in the Angel Solution Membership Program. Click here to learn more about the Angel Solution! Thank you Melanie for this powerful message. It is absolutely beautiful and out of this world. I am so grateful to have you as a friend in part of my awakening journey. I’m grateful for your service for the highest good and the connection with you. Hmmm, after walking through the door I found myself in the “universe” looking at the night sky filled with millions of shining stars. That was a splendid light message. Infinite thanks. Namaste. I appreciate it, this is very helpful. I love Angels, positive energy/vibes.. Thank you very much for these kind of help ,i wants happiness without having a reason or with reason. I’m feeling depressed and sadness from too long time, please help me. Thank you again. Thank you for the channeling. I was a bit low but after your message I have felt highest vibrations in this day which is a special one for the plan of my soul. I feel everything so deeply its hard to enjoy being around people because i cant tell what my feelings are and if im feeling someone else’s vibes if thats what you call it. Im not exactly sure what i need but i know i need some help not seeming like such a freak when im around others. Thank you for the message Melanie. It obviously had some kind of significance because while I was listening to it I seemed to be drifting in and out of this physical reality, almost in a sleep state. Loved the Expanding your Light recording. You have a beautiful voice. I have to say that you sound just like Akiane Kramarik the painter and poet. Maybe you are both from the same dimension or star family. I look forward to learning more about the Angels. Thank you Melanie! I felt like something beautiful was happening to me, but I think I still hold back and didn’t fully let go. It was like I was there but yet still here….does that make sense? It was relaxing though…..and I will listen again and hopefully learn to let go of whatever I’m holding onto. Yes it felt like the other woman, I could let go Completely I don’t know why that was ! Thank You! Very soothing and calming. Angel energy abounds! I REALLY ENJOYED LISTENING TO THE MESSAGE.SO VERY SOOTHING TO MY SOUL. I would Love to recieve more on a daily basis…I felt like I was taken away to a such a PEACE…. Thank you Melanie. I feel a greater sense of ease, lightness and softness in the heart. I did however find the 2 voices overlapping a bit disconcerting at first, and hard to follow. But let go in the end and stayed more with the feeling & visual rather then the words. Very sweet, but soon as you say, for the good of all, everything falls apart.Not all has a nice plan in life, because they did not come to earth to have that. May you all be safe,loved and needed. Wonderful! Thank you so much! Love and light and blessings to you Melanie! I loved the angels message. I am feeling very light. My light started the day I was born. Something wanted to keep me out. I was born dead and spent a long time in the hospital. For a long time I felt cursed. I grew up impoverished and had very little. I didn’t realize I was meant for something greater until recently. The feeling of being cursed is fleeting and I feel alive. My calling is coming closer and I feel it. I can relate. I had a dodgy start in life and spent most my life feeling I was being prepared for something. I’m in my early 50s and have often felt I “missed” it. I expand my consciousness and am a Medium and Empath but something is still missing. I am a foster parent to a a3 year old I am expecting to adopt but find myself very anxious about whether the process will have a positive outcome. We have recently a made ourselves available to take in babies and young children with complex and fragile medical situations. We haven’t received one yet which is frustrating. And I keep waiting for what I feel I have been trained to do since before I was born. I wanted to take a minute to let you know that you’re a true angel in my eyes. To offer your time, home and life to children in need brings tears to my eyes. However, these are tears of joy in knowing such beautiful, generous and loving souls like you are taking major strides in making this world a better place. I have complete faith in your situation having a positive outcome. Please don’t get discouraged. You’re amazing heart, I’m sure has been witnessed by the angels and they will make sure your loving mission is completed. Thank you for being such a wonderful person. Thank you for the beautiful gift of communion with the Angels. I experienced a wonderful lifting of spirit at a very stressful tme in my life. A few hours after, a single lightning bolt lit up just outside the small opening of my curtains, followed by a thunder clap, and that was it! No more lightning or thunder the rest of the night. I truly believe it was a sign of the Angels presence. Thank you Melanie for facilitating such an awsome experience! Is there more music like this. can you just have the message in print? How to connect to Michael Angelo,? I AM FROM ROMANIA. I DON”T SPEAK VERY GOOD ENGLISH, BUT YOUR VOICE IS AMAZING, HELP ME A LOT, IT IS A GENIAL IDEA THANK YOU VERY MUCH. I HAVE 10 COLEGES IN OFFICE, THEY ARE ARGUE AND FIGHT EVERY DAY WITH AIDA – DIRECTOR ECONOMIC. What exactly does a Divine Blueprint Holder do? Not good in listening. I’m suffering from depression and sometimes having suicidal thoughts. Is it ok if I can’t understand? Sending you love Margaret… Check out this emotional healing process. So glad that i discovered you! You are truly a gift from universe ! This helped me immensely! Connecting with ANGELS is very comforting and relaxing. At night when my daughter has trouble falling asleep I just play the ANGELS recording to her it really works amazingly. In no time she will be sleeping like and ANGEL.It also helps me to stay calm when faced with difficult and challenging situations in my life. It was the first time I’d tried this, I was feeling pretty low at the time, have always had some sort of connection with the universe, I had the cold shivers which was a sign to connect with angels, I’d not attempted that before. Then I listened to the message and it helped take the pain the worry out of my heart and the light moved up and down my body, I felt the love, the gold heart, all the pain in my kneck and head went away. Great! I shall listen to this again! It’s Amazing. Know d middle I cried also don’t know why. Strongly believe in Angels. Thank you so much. I feel a bit better….still needing a deeper connection with my higher self & my Guiding Angels. I need inner healing so much! This afternoon my husband came home and found 4 black with white tops sticking straight up in the ground. Perfectly aligned. I read about it and told him the angels were sending him a message. But what? Slowly recovering from heavy burn-out and vertigo. Can feel the love and light shine from within. That just i really needed because i feel so all alone my oldest daughter have cancer in the fourth stage and now i k n ow that my guidance angel Michael is here by my side, it relaxed me and made me feel deep in my heart and soul very rejuvenating. That yoi i needed that message. Hi. cant listen them because i am deaf. is tgere way for me to read. Yes, I’ve published the transcription on this page for you to read! I lost both my parents in 2016, eight months within each other. I need a sign that they are around me. Thank you Melanie I can feel relieved. Glad to hear Lindiwe! Love hearing about how you felt and experienced the angelic energy… Keep shining! I needed this at a time when I was feeling low. Just as this ended, a small white feather landed on my screen. And when the angelic music stopped, the feather lifted off the screen and floated up to where I could no longer see it. I new for sure that it was one of the Angels telling me everything is going to be ok. Thank you so much. I felt so bad feeling like bad lucks fallowing me but that video cheered me up thanks. You’re most welcome ✨💖😇 Keep shining! I really appriciate your effort towards assisting me to get what actually meant for me . Thank you once again . So glad to hear Audrey! Really making the connection with the angels and God really is so incredible! Thanks for your comment. What an amazing gift this was today. The timing with the Lion Gateway opening. I was flying high and shone so bright. And merged with my Higer Self for the 1st time. Thank you for facilitating that and spreading the love. Lots of love to you. Namaste. I felt at peace, after listening to your message. Your voice is so soothing and beautiful. Wow that really really helped. I feel like all weight has been lifted off of me, no fears, no regrets, letting the past go. It felt like I was being pulled upwards towards the heavens. I did listen to the angel session and meditated with it. The message was soothing and relaxing. I listened to this message just now & found it very relaxing. Thank you very much. I listened to this at work & found it very relaxing. I seen you written message. Thanks. I waiting you longingly responds. I will develope my skills. Thanksgiving. I follow my numbers you can google them 1111 meaning is the universe is recieving what you are putting out or asking for, 333 you are protected or guided by our creator. 222 pay close attention to whom you are with at the time this will play a significant role in future. 444 means have Faith you or your life is on track or is headed in right direction. Hope this helps always keep the faith. Thank you very much, I really enjoyed it. I love Angeles. How we conect with Angeles who help us. We daily connect with Divine Energy. Wow Melanie, this was so amazingly beautiful and powerful. Thank you for this wonderful gift. Thank you so much for my Angel reading I have been a lost old soul for a very long time. I listened to the beautiful words you and the Angles provided amazing. I went in sat in a park to listen which was so serene sky was a beautiful dark blue sun was shining bright and so was I. Thank you I am grateful to have found you. So grateful you were guided here as well! Sending you so much love, light and blessings! Thanks a lot Angle message i love it, God bless! . Thank you for this, I think you are an angel. I send my love to you. I used to meditate, however I’ve been going through so much negativity these past months. This brought me back I cannot thank you enough. Refreshed and relaxed for the first time in such along time. I actually just before it finished nearly fell asleep, which has been elusive. Wonderful, relaxing, I felt as though I was floating on the clouds, showing off my vibrant light. My star was the brightest it has ever been. I have been seeing the angelic number 1111 almost every day of my life. I also see 222,333 and 444. I need a mentor to help me understand why I see them so often. Hi Melanie, many thanks ! For the beautiful meditation even though I got cramp in my leg, , but at the very end I saw THREE Faces so clearly ! I shall continue to listen to your meditation . I have been in contact with Angels from the 7th level for awhile now, and I have this insatiable urge to write, which I do, for creative outlet and getting my feelings and thoughts out on a piece of paper. Suddenly the Angels told me that I was going to be a vessel for God, because I have a pure heart, and I have faith in God. Also they said many blessings are on their way. I do not know anyone else with these experiences but I need guidance. I was told I am meant to write a book and God and the angels are going to dictate this. Recently I have been doing automatic writing, I am only the messenger its the Angels from the 7th level, I am just the messenger. I need help developing my abilities. My boss passed away 8 mths ago and has been sending me message from heaven.He passed away at a nursing home,and l am getting signs from the Nursing home.For example, advertisement of nursing home on tv,Co-worker talking about nursing home.l have received crossroad signs of the deceased name of his son.what does this mean. Wonderful! I was feeling very bogged down with hay-fever and a bundle of ‘negative’ seeming things to do. But now, I feel revitalized and renewed. I really felt the light lifting me with an amazing ease and felt the presence of Angels supporting me. I felt like the sun at on point. I am replenished and smiling! Thank you so much and all the angels of love! Enjoyed the meditation session – I normally meditate anyway – I could certainly feel the divine and healing energy channelling through my body. It was a much deeper mediation but I could bring myself around as I have a few chiming vintage/collectable mantle clocks in my room and I could still hear them chiming – even though it was more ‘distant’ than during normal meditation, so after finishing the mp3 when the clocks chimed next quarter I was back ‘in the room’ (a min or two after session). I believe in the angelic beings and I know my Guardian Angel is protecting me – with a few other angels. I have been on a journey for some time,not knowing my purpose. Mee’ cha’ el’ (Michael) revealed himself to me. Many things have changed with my eyes and ears. I know my purpose… Its just over whelming! I went to my bedroom to listen to the Angel Messsage,about 3 blow flies suddenly appeared in my room,had to vacate and go to my son’s room where I listened to the Angel message,I felt so relaxed and no pain in my hip or leg and I am so relaxed and feeling at peace the most I have in the last two months since my mother passed away.Thank you Melanie. I feel white light energy around me, I see white light at the corner of my eyes often. During the message I immediately tuned in, I heard a lot of speaking all at once & then I tuned out of it. Can you explain this to me briefly? Just what I needed this morning. Dovetailed with what I had started and asked for. Thank you. Thank you very much. It was a beautiful meditation and activation. I have always beleaved, there are angels, but not in this way. There has been so much and so big battlefields in my life, that I have grounded these behind me. Now, I was on that point, that I do not have strenght to go on anymore – alone. So I sat down and tried so hard to focus on this meditation. At first, it was very hard. Something happend. Something I can not discribe. Angels really visited with me, now I know it. The experiance was very healing and wellcomed on this situation. Now I have something, where to lay out, when the world shows its ugly faces. Now I really know, I am surrounded by forcers, which aren’t from human beings. Wow! That was incredible. I actually felt my finger tingle and I’ve never experienced that. Why did that happen? Hi, I am experiencing so much from last few years and lot of friends told me they saw someone near me who is watching me, but I couldn’t see no one. And everyday I am being attacked and being saved at the same time. I don’t know if they are my angels, guides or something else. It has become a part of my life now that something unusual happens every other day in my life. How do I figure out what it is?? Melanie!!!! I think this meditation has affected me much more than the comments that I have read(I did not read them all) I mean life changing!!!!!!!! !I can’t even begin to thank you enough!!! So it will be. That was soooo relaxing and beautiful. First time experience and as I said “so it will be”. Millions of thanks, this is more appreciated that you will ever realise. Headaches are often from having someone elses energy in your head! I would recommend taking some time to really make sure your energy is clear and vibrant to support you in enjoying your clairvoyant ability! Melanie the response you gave to Journi’ really hit home. I have suffered from Migraines most of my life. I am also an Empath. The clearing of the energy from someone else makes so much sense. Thank you for this wonderful site. PS I love the Angel cards and Daily messages. They are spot on when I use them. I cannot seem to be relaxed enough as this has always been a big problem for me, under so much stress and anxiety! But thank you ! I really really loved this. I will be listening to this everyday!! Thank you soooooooooooo much! It is really calming my mind.and i love that . wow this was amazing – had a killer headache which was removed ! Thank you for guiding me through this meditation.It realy helped me to clear away space around me and to feel my frequency going higher. You’re most welcome! Keep shining! Truly amazing! Out beyond where I have been. Full,in awe, Sacred grace. Thank you! Yay! You’re most welcome… ?✨?????✨? Thank you for this message! And all you do Melanie! Your voice and being a vessel has helped me be grounded and connected through my journey of finding my truth! You are very calming and inspirational! Thank you! You’re most welcome! I’m truly honored to be of service. I’ve always felt since I was a young child that I came from the stars. I understand Quantum Physics and Quantum Mechanics and have never taken a class on any of those subjects. I see and understand people especially those who are suffering internally. I can sense their inner anguish even though they don’t manifest it outwardly. I learned through a DNA test that I have 76% Hebrew DNA. I can sense and hear the tones of every living thing. Even times when I meet a person for the first time, I can hear their frequency or harmonics. Many harmonics from other people mix well with my frequencies, but there are some whose harmonics are like notes that don’t complete a chord or harmony. I can sense the low frequencies and the vibrations of negative tones that have infiltrated their being and knocked their inner song out of tune and out of time. Those negative harmonics manifest in their physical bodies through heart problems, thought and emotional control, and other ailments in their bodies. Nature is drawn to me. Birds, cats, dogs, and even some wild creatures are attracted to me. I saw my Heavenly Guardian angel at age 5. I had the Asian Flu. My angel stood at the foot of my bed. His hair looked like finely spun gold. He had a pronounced jaw and a loving smile. His body build looked similar to a Gladiator. He is at least 7 feet tall. His skin is like bronze but light emitted from every pour in his being. His eyes were blue but the blue looked like a sun lit sky. He had on a Tunic top. It was bright white and so were his trousers. I felt very loved as he stood watching over me. I didn’t see any wings but he may have had them folded back behind him. There was a luminescent light with colors like Mother of Pearl that was all around him. Anyway, I’m glad I was guided to your website as it was another piece of the puzzle that Yahweh is revealing to me a little at a time. Thank you I’m so happy connecting with you, God bless you. I was unable to listen to message. I don’t have a computer or the right kind of phone. But I would like to respond to Kristie’s comment . I find that listening to ocean sounds or whale singing helps to open my heart and mind and hear my angels very clearly. My granddaughter likes to hear the sound of rain. You’ll find what you need. Your angels will help with that. Don’t give up. It brings much joy and happiness. If you backslide just call on your angels…it’s so very uplifting and those around you will feel it too. However, I am having difficulty to be in the divine realms, I feel relaxed yet I know I am not there. I feel that my brain is more in control that I don’t know exactly how to open my heart to hear & feel my Guardian Angels’ message. Thank you. I really love all these. …What are the symbols beside our names? It’s a beautiful meditation, thank you. ? I found this very relaxing and enjoyable. I want all evil spirits to leave my circle of happiness…. Thank you. It gave calmness and when I open my eyes, it was very cold feeling I got I no myself eyes and peacefulness of mind. Thank you and bless you. Thanks my dear for quick respond….strange things had been happened to me…..recently,I never lack,what I think is what happen,…..a lot of signs have been showing to me that someone is around doing all this good things for me and am grateful for it and thanks all my angels everyday.Though my father passed away two years ago and I could feel his presence too but am gonna find out who is doing all this wonderful things for me since my dear Melanie…I have downloaded the mp3 and soon am gonna listen to it my dear…..big up yourself,more grace to your bones…..light and love!! A couple of seconds into the message, I felt a breeze touch my body. I felt an immediate release of heaviness lifted off me. I cried, and, my hands began to tingle. I opened my eyes, and things were brighter than usual. Once the message ended, I walked out of my room feeling happy and at peace. Thank you for your kindness and help. God bless you always! Heart surgery is definitely scary, but I bet that you’re strong and can face that fear if you have to. You’re in my prayers, sweetie!